"What is a 'Doctor of the Church' "? "What is a 'Doctor of the Church' "? Is there a doctor in the house? Well, if that house is the Church, then the answer is “yes.” Not medical doctors but more in line with Doctors who have a Ph.D. The title “Doctor of the Church,” unlike the title “Father of the Church,” is an official designation that is bestowed by the Pope in recognition of the outstanding contribution a person has made to the understanding and interpretation of the sacred Scriptures and the development of Christian doctrine. 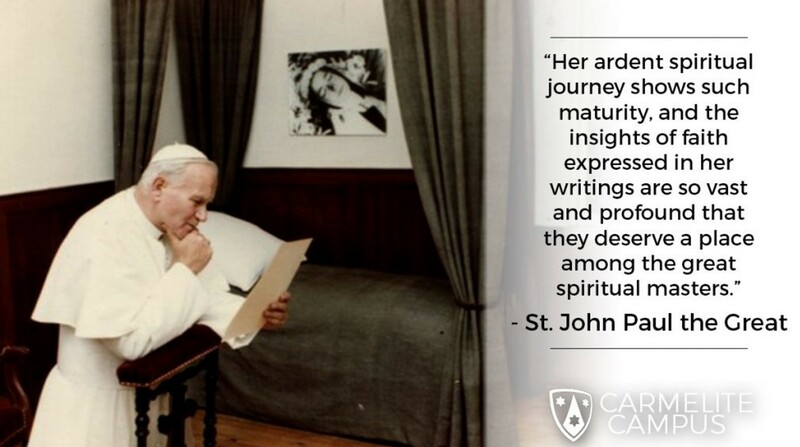 Through their research, study, and writing, these canonized saints have advanced the Church’s knowledge of the Faith. In fact, twenty-four of them are quoted in the Catechism of the Catholic Church. To be declared a Doctor of the Church does not imply that one's writings are free from error but rather that the whole body of a saint's work, taken together, serves to advance the cause of Christ and His Church. Such men and women are also particularly known for the depth of understanding and the orthodoxy of their theological teachings. While the writings of the Doctors are often considered to be inspired by the Holy Spirit, this does not mean they are infallible; it means that they contributed significantly to the formulation of Christian teaching in at least one area. The title was first awarded by Pope Boniface XIII (in the year 1295) to four saints: St. Ambrose, a 4th-century bishop of Milan; St. Augustine, a 5th-century bishop of Hippo; St. Jerome, a 5th-century biblical scholar and translator; and St. Gregory the Great, a pope at the start of the 7th century. Over the years the Church has added 32 additional saints to this notable list. Since 1970, four women have also been declared “Doctors of the Church”: St. Teresa of Avila, St. Catherine of Siena (both in 1970 by Pope Paul XI), St. Thérèse of Lisieux (in 1997 by Pope John Paul II), and St. Hildegard of Bingen (in 2012 by Pope Benedict XVI). Saints Teresa and Therese were both Discalced Carmelites nuns, St. Catherine was a lay Dominican, and Hildegard was a Benedictine. Most recently, in February 2015, the Armenian poet and monk, St. Gregory of Narek, was named a Doctor of the Church. All of the Doctors of the Church have advanced the knowledge of God through their writings on theology, spirituality, mysticism, or through their defense of the faith in the face of heresy and schism. Eventually three criteria were developed for declaring a saint a Doctor of the Church: 1) holiness that is truly outstanding, even among saints; 2) depth of doctrinal insight; and 3) theological writings which the Church can recom­mend as an expression of the authentic and life-giving Catholic Tradition. The process of proclamation is first issued through a decree by the Congregation of Sacred Rites, which is then approved by the pope. The list of Doctors, relatively small compared to the vast array of saints over the centuries, has diversified over the years and has increasingly included women. St. Ambrose, St. Augustine, St. Jerome, St. Gregory the Great, St. Thomas Aquinas, St. John Chrysostom, St. Basil the Great, St. Gregory of Nazianzus, St. Athanasius, St. Bonaventure, St. Anselm, St. Isidore of Seville, St. Peter Chrysologus, St. Leo the Great, St. Peter Damian, St. Bernard of Clairvaux, St. Hilary of Poitiers, St. Alphonsus Liguori, St. Francis de Sales, St. Cyril of Alexandria, St. Cyril of Jerusalem, St. John Damascene, St. Bede the Venerable, St. Ephrem, St. Peter Canisius, St. John of the Cross, St. Robert Bellarmine, St. Albertus Magnus, St. Anthony of Padua, St. Lawrence of Brindisi, St. Teresa of Ávila, St. Catherine of Siena, St. Thérèse of Lisieux, St. John of Ávila, St. Hildegard of Bingen, and St. Gregory of Narek.